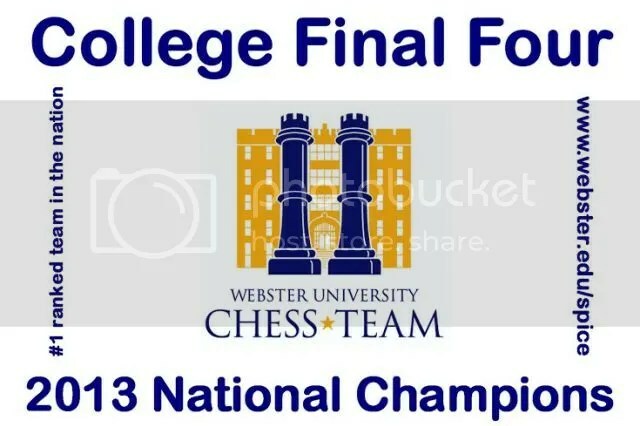 The 2013 ‘Final Four’ held April 6-7, 2013 in Rockville, Maryland was the 13th edition of the annual National College Team Chess Championship (held every year on the first week of April) since it was founded in 2001. 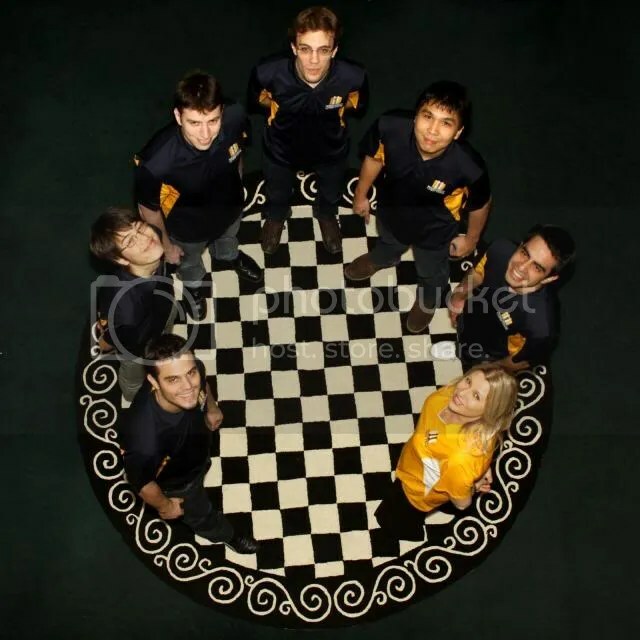 To be in the Final Four means the top four U.S. schools that qualified in the recent Pan-American Intercollegiate Team Chess Championship (Pan-Am), held annually every last week of December. 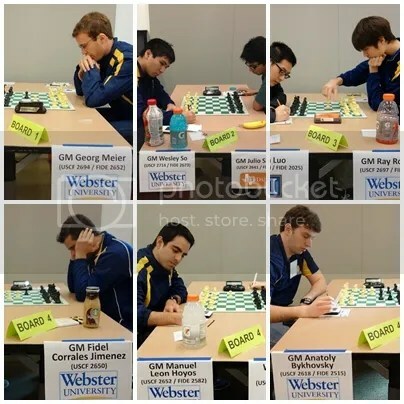 Webster University’s ‘Gorloks’ an all Grandmaster team of 6 players including its 2 alternates and seeded #1 in the Final Four, had cemented its billing as the top-ranked college team in the U.S.A. by capturing the National Collegiate Team Chess Championship in an overpowering but breath-taking fashion. 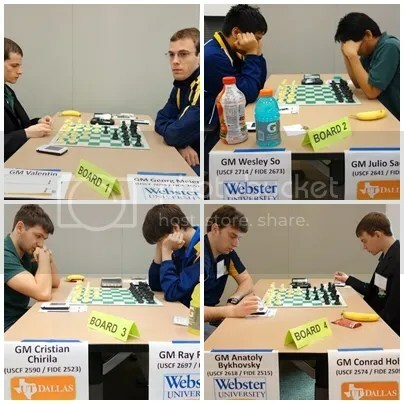 University of Texas at Dallas (UTD), the 4-time National Collegiate Team Chess Champion (2001,2002,2007 & 2008) and registering its 13th consecutive appearance in the Final Four came in at 2nd place scoring 7/12 by submitting a 5Wins-4Draws-3Loss record. Its only round and a hard-fought loss was against Webster U in the 3rd and last round. With half-a-point behind after the penultimate round (R2) it needed to outscore Webster and come from behind to take the elusive and the most prestigious title but fell short losing 1-3. 3rd place went to the former mighty team of University of Maryland-Baltimore County (UMBC), a 6-time National Collegiate Team Chess Champion (2003,2004,2005,2006, 2009 & 2010) and a perennial Final Four competitor also on its 13th consecutive appearance. UMBC scored 5/12 (3Wins-4Draws-5Loss) record. University of Illinois (UI), a revelation in the Final Four, a Cinderella team that finished ahead of the other heavyweights i.e. University of Texas at Brownsville (UTB) and the 2011 & 2012 Final Four champion Texas Tech University (TTU) at the Pan-Am 2012, finished 4th place scoring 2.5/12 (1Win, 3Draws, 8Loss). 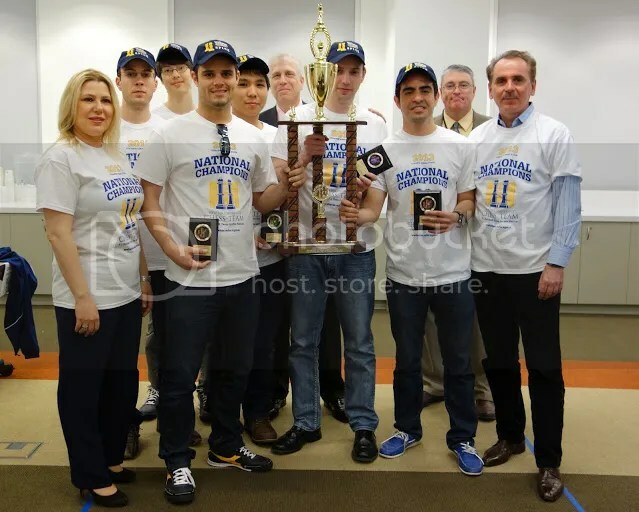 The 1st U.S. school to assemble a top-ranked U.S. chess team at the start of a school/academic year (AY 2012-2013), two of the school team (Webster A & B) tied for 1st place with three other schools in Pan-Am 2012 then won the President’s Cup (a.k.a. 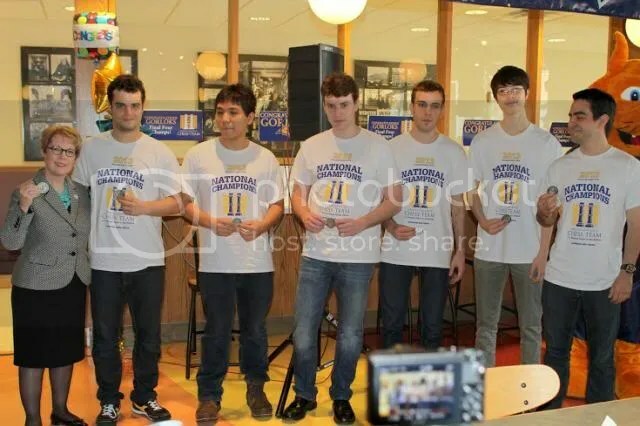 the “Final Four” of chess) on 7 April 2013 on its first try. GM Susan Polgar broke her own record by making a ‘3-peat’ or three straight President’s Cups as a ‘lady coach’ of a Final Four champion team that was previously dominated by men coaches. For the record, this is the 3rd team in a row that Susan Polgar has coached to a President’s Cup victory. Before joining Webster U, Polgar was the coach for Texas Tech U (TTU) team that won for two straight titles (2011 & 2012). 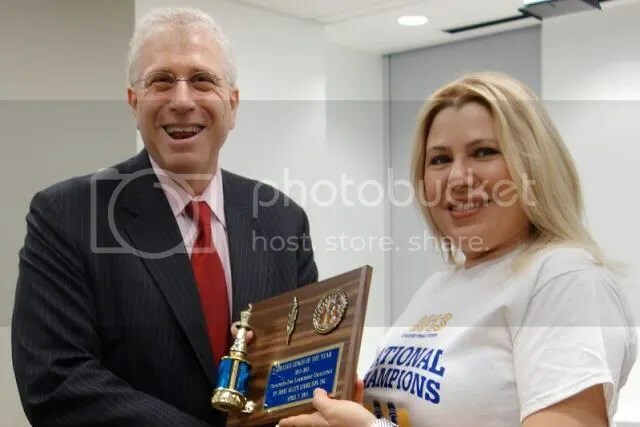 With her feat, Susan Polgar was named the “College Chess coach of the year” during the awards ceremony of the event on 7 April 2013. GMs Wesley So (Bd-2) from the Philippines & USA’s Ray Robson (Bd-3) were the top points contributors with 2.5/3 each. Bd-1 GM Georg Meier of Germany contributed 2.0/3 points. Bd-4s GMs Fidel Corrales Jimenez (CUB) and Anatoly Bykhovsky(ISR) scored 1.0/1 each, while, GM Manuel Leon Hoyos (MEX) scored 0.5/1 for an aggregate total of 9.5/12 points. The team registered a 7Wins-5Draws-NoLoss record. 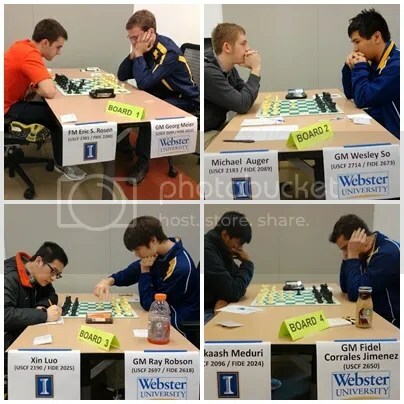 @chessaccount @websteru Thanks but it’s about my players. They worked so hard, 1,000+ hours as a group to train and prepare. Credit to them. 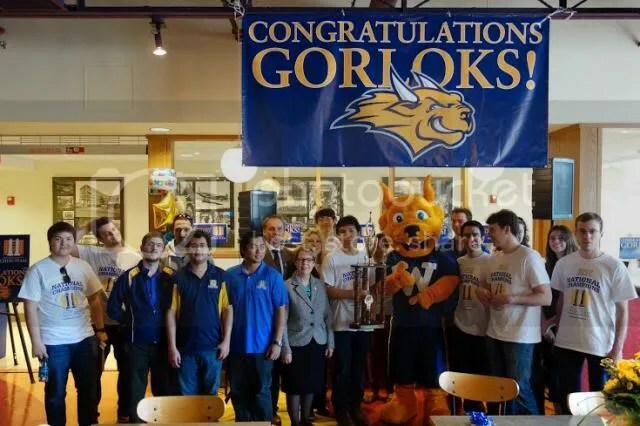 Congratulations to the Gorloks spearheaded by their lady coach-GM Susan Polgar! 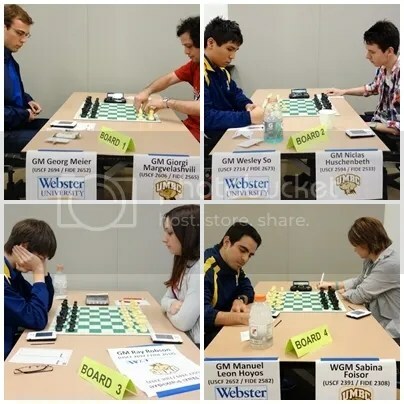 Best wishes to the Webster University Chess Team! Hopefully, continue your winning ways in the future.